Born at Winnipeg on 3 December 1897, son of W. F. Hull and Annie Lovell, he was educated at Kelvin High School. After working in Winnipeg for some years, and being ordained to the ministry, he moved to Jerusalem, Palestine in 1935 after receiving a “call from God” during a service at Zion Apostolic Church. 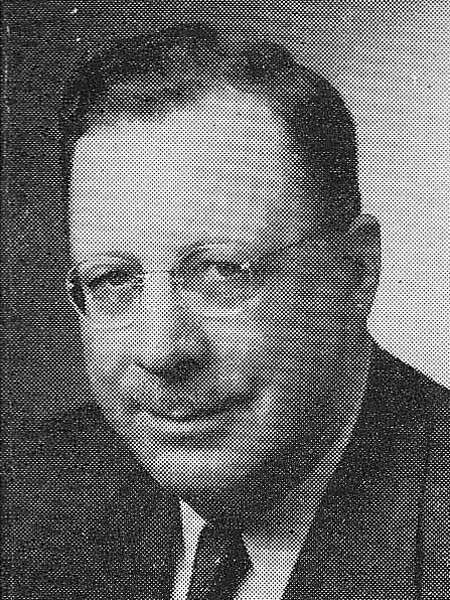 Over 27 years of missionary work in Jerusalem, Hull was involved with Justice Ivan C. Rand (1884-1969), influencing him and his vote on the 1947 United Nations Special Committee on Palestine regarding the partition vote to create the State of Israel. In 1961, Hull was the spiritual counselor for the Nazi war criminal Adolph Eichmann prior to his execution in May 1962. Hull returned to Canada later that year and wrote The Struggle for a Soul (1963, Doubleday) about his experiences with Eichmann. On 6 November 1916, he married Lillian Pachal (?-1985) at Winnipeg. Hull retired to Simcoe, Ontario where he died on 1 September 1992. He is buried in Oakwood Cemetery at Simcoe. “Winnipeg missionaries praise work of Hagana,” Winnipeg Free Press, 15 May 1948, page 1. “Separate state advocated as racial strife solution,” Winnipeg Free Press, 5 October 1963, page 10. We thank Jerry Klinger for providing additional information used here.